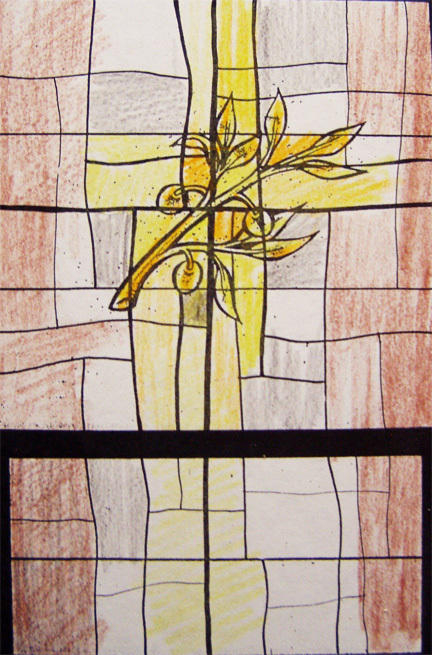 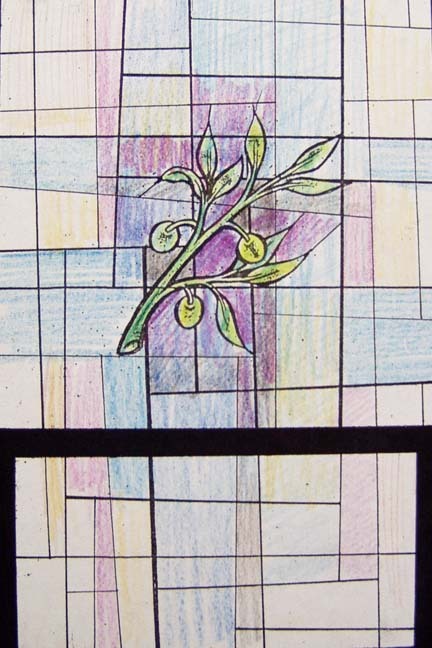 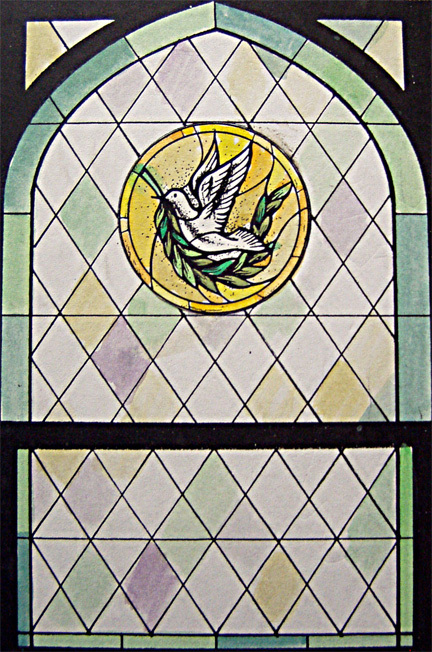 Christ Lutheran Church in Wantagh came to us with symbols they wanted in their stained glass windows, as well as a desire to turn their rectangular windows into gothic shapes. 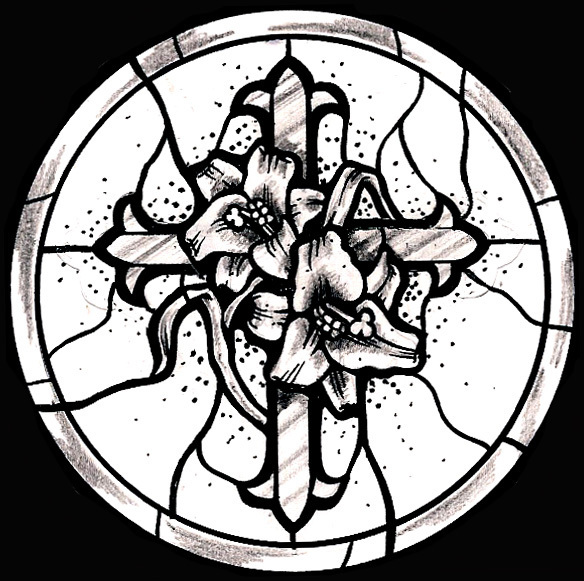 What do we present to you? 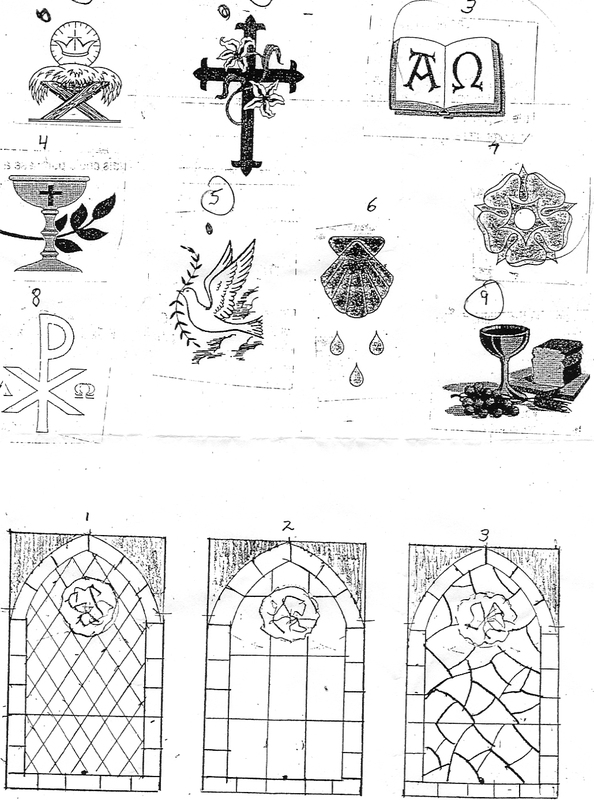 Then we design original symbols or figures. 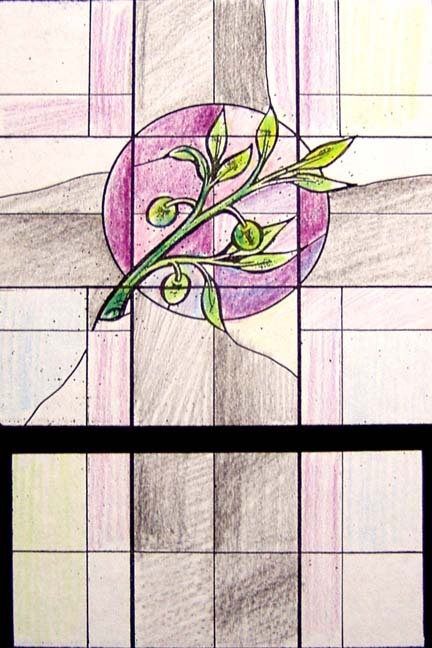 You see full-size drawings and color palette we will use for your church. 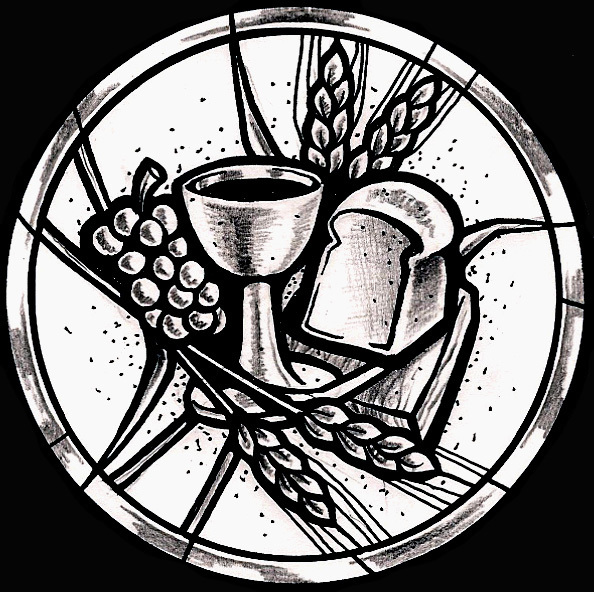 Finally you will see your original idea or concept realized in your church. 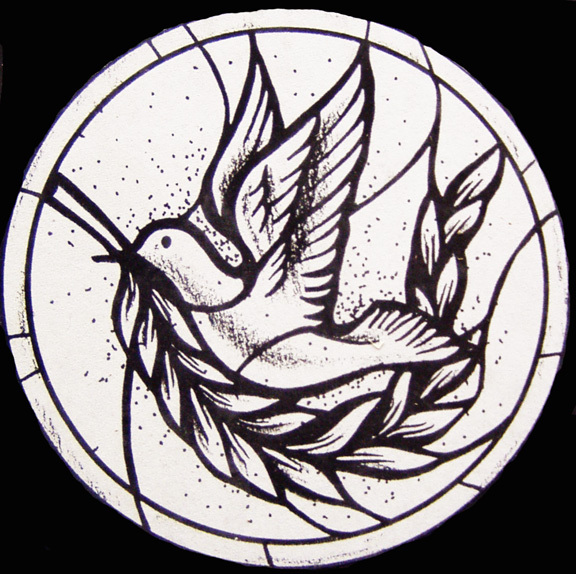 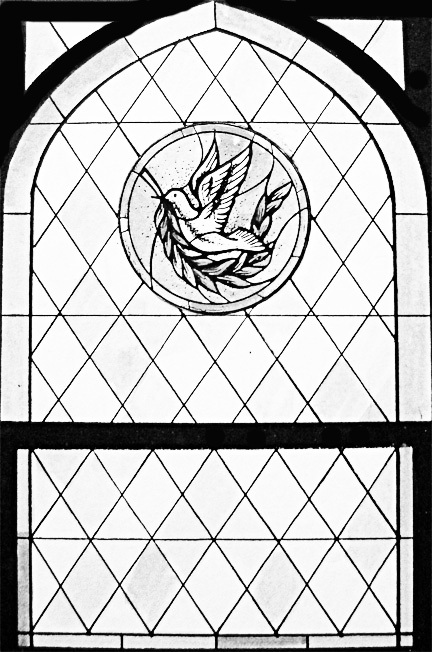 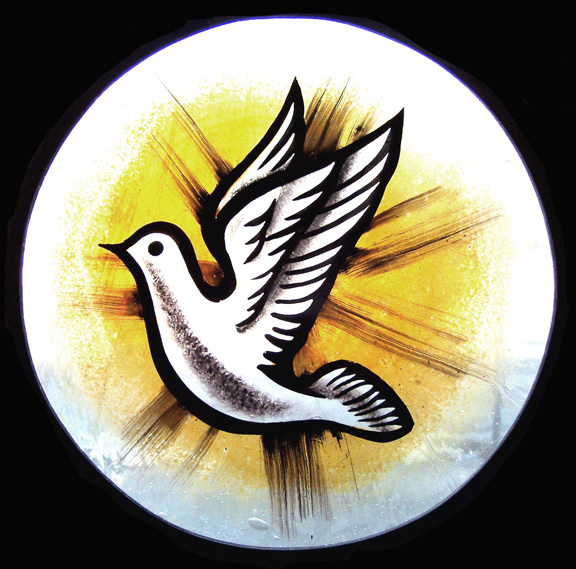 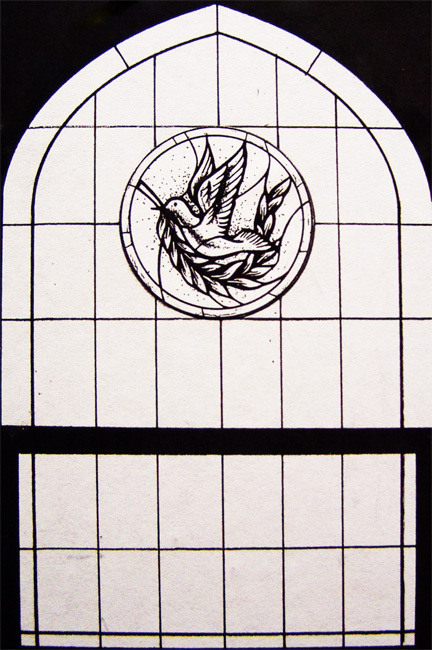 ←Holy Spirit symbol traced, matted, and kiln-fired with silver stain applied for the yellow glow behind the dove.